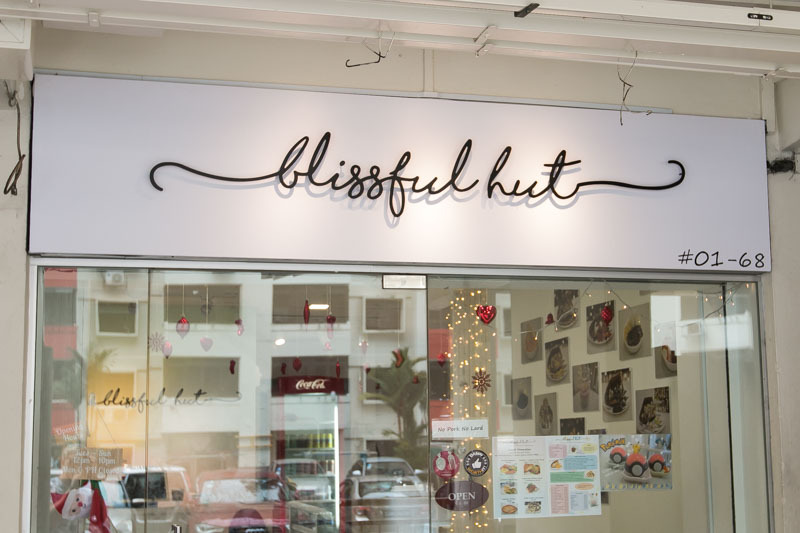 Started by two friends who share a common love for desserts, Blissful Hut opened in July 2016 serving Hong Kong Egg Waffles or otherwise known as gai dann tsai (雞蛋仔) with various gelato flavours and toppings. 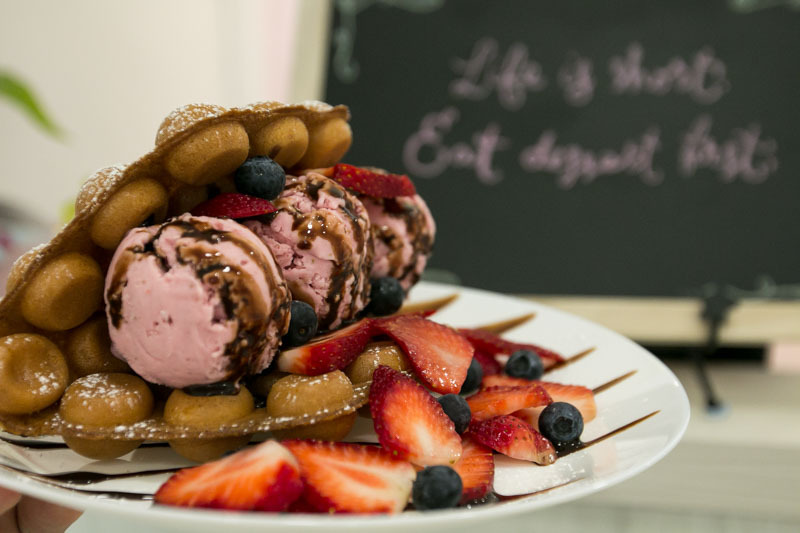 Located along the walkways of a HDB estate in Toa Payoh, the cafe is primarily a dessert cafe, while offering some savoury items on the menu, like breakfast platters, pastas and pizzas. The interior of the cafe was very inviting, with the use of plain white walls and pastel colours. Using fairy lights that hung from the ceiling, a whimsical vibe invites diners to relax and have fun with the playful dishes. Did I also mention that it makes for a great backdrop for photos as well? 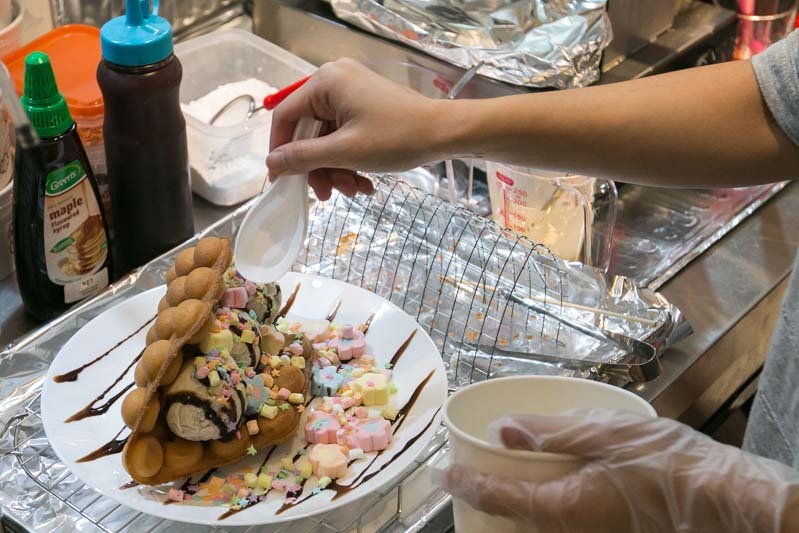 With a passion for creating desserts that are made with love and will tickle your palate, the duo have brought in the egg waffle machines and developed their own batter recipe to create warm, crispy egg waffles that have a distinct egg-y fragrance and aroma, reminiscent of the street stalls in Hong Kong. Once the egg waffles are cooked, they are left to rest on a rounded holder to form it into shape. 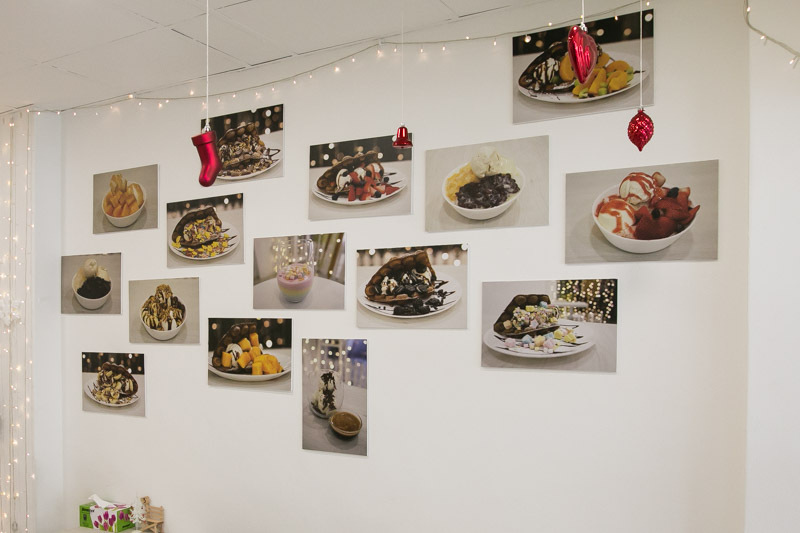 After which, the gelato is scooped on and garnished with various combinations of toppings before serving. 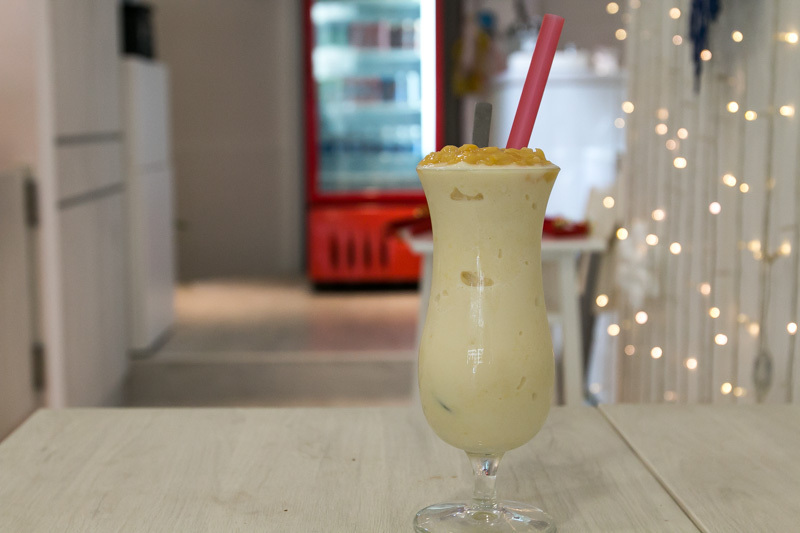 I quickly got down to ordering my drinks and chanced upon this Cream Corn Smoothie ($3.50), which is made in-house. I loved how the smoothie was topped off with some creamed corn bits like the kind you’d find in your ice kacang. Not overly sweet, the smoothie was smooth and creamy without being too jelat, still allowing your stomach space for the main star, which is the puffle pocket, obviously. With eight types of puffle pockets available, we chose three of them to see if they were worth the hype. A huge hit with children and the ladies, the Puffle Mallow with Vanilla Gelato ($6.50) came topped with sugar stars and fluffy colourful marshmallows that probably drew inspiration from My Little Pony. The egg waffle is crispy and airy on the inside, pairing well with the creamy vanilla gelato that has the right amount of sweetness and fragrance from the vanilla bean. I’d recommend skipping the toppings as the flavours are too artificial and are probably for aesthetic purposes. 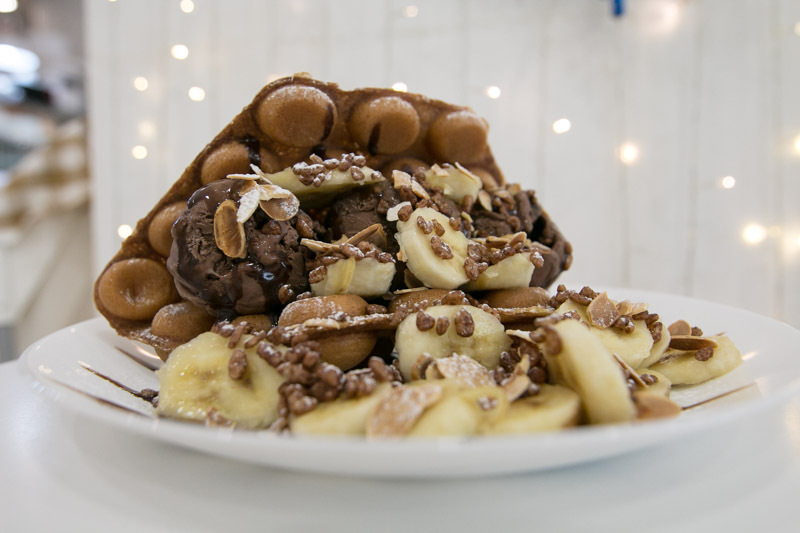 A chocolate lover’s dream, the Puffle Banana Bonanza with Chocolate Banana Gelato ($6.50) is my favourite of the three. The rich dark chocolate gelato had the right balance of bitter and sweet that went really well with the egg waffles. The bananas added a nice savouriness to the dish and has a nice crunch provided by the cocoa rice puffs and sliced almonds. A decadently sinful dessert that is oh-so-worth its calories. For those who prefer a more tart yet sweet version, the Puffle Very Berry with Strawberry Gelato ($6.50) is the order of choice. The gelato which I suspect has yogurt added to it, has a nice tartness that balances against the sweet fresh blueberries and strawberries. The only thing I felt missing in the puffle pockets was that each one could be more distinct from the other, perhaps by incorporating flavours into the egg waffle base and by enhancing the flavours and textures of the toppings. 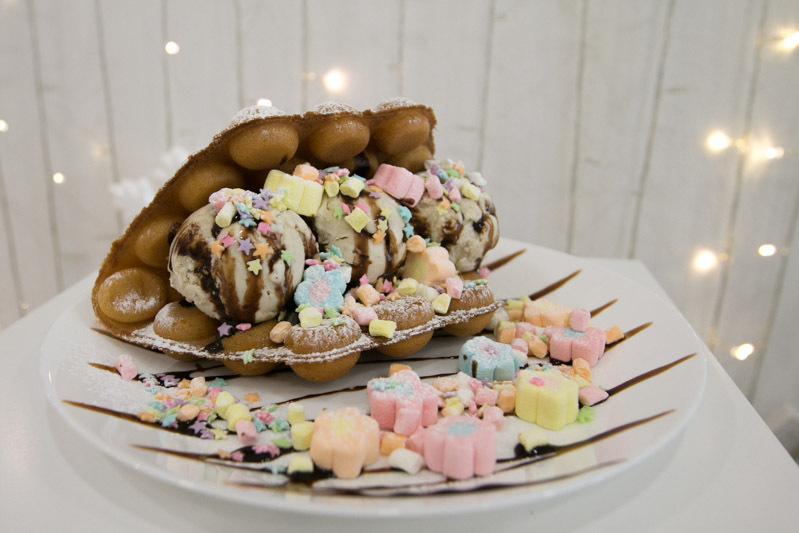 While there have been many dessert places trying to jazz up the humble Hong Kong egg waffle, I feel that the affordability factor coupled with the variety of desserts that are available is the main draw for people to drop by for a visit. Blissful Hut also takes orders for customized cakes and desserts too, so do check out the Facebook page for the full menu.